Konkona Sen Sharma has already worked with Irrfan Khan in films like Right Yaa Wrong, Dil Kabaddi & Life in a...Metro and recently their film Talvar got released. The film is based on the 2008 Noida double murder case, in which a teenage girl and her family servant were found murdered, and her parents were convicted for the murders. We all know that Irrfan is a very good actor, but we didn't knew this interesting thing about him! But, thanks to Konkona for revealing this. 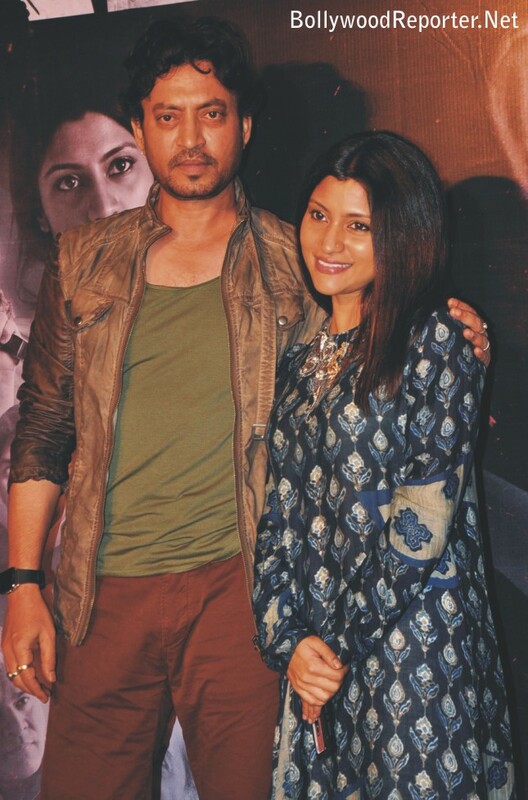 Konkona said that "I've always had wonderful chemistry with Irrfan. It's lovely to work with him. He can have good chemistry with anybody because he's such a good actor. Unfortunately, in 'Talvar', we didn't have too many scenes together." She also said it was powerful experience working in Meghna Gulzar's Talvar. Most of her scenes in the film are with Neeraj Kabi. Talking about working with Neeraj, Konkona said: "He too is a fantastic actor. In 'Ship Of Theseus', he was the monk, and he's very good. So it was very enjoyable getting to work with him and to know him as an actor."